Despite the fact that you have proudly served your country in the military, it can sometimes be difficult and frustrating to obtain auto financing. However, military car loans in Mountlake Terrace are available to you. It pays to do your research ahead of time to make certain that you are completely prepared for this sometimes daunting task. Seek out a reputable dealer like Carson Cars who has longevity and experience in the local industry. Get advice from friends and the Better Business Bureau. Determine the amount of the loan payments that you can realistically afford and do not forget to include additional expenses that are also incurred, such as auto insurance, routine maintenance service and repairs. Understand how interest rates and rebates can affect your ultimate “deal” and plan accordingly. Before purchasing, decide if you really need those “add-ons” like delivery charges and cleaning fees. 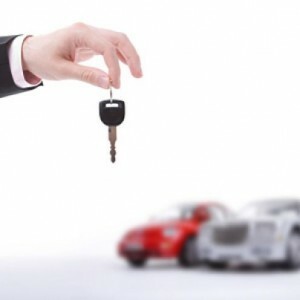 After locating just the right vehicle from the many suitable cars or one owner trucks for sale, check the Carfax report and have a knowledgeable acquaintance inspect it carefully to check for issues that may not be immediately visible both inside and out. Stop by Carson Cars or call us today at (855) 583-9356 to learn more about our current selection of used cars, trucks and SUVs and for your options for military auto loans in Mountlake Terrace. Our capable sales personnel are ready to help you drive away with the vehicle you want and need. We appreciate our military and strive to do everything possible in order for those who have served our country to obtain that dream vehicle and financing.